Tacoma: Awning install without a shell? Tacoma (or Tundra) owners, I am looking for a solution to install an awning (most likely an ARB) on my truck which isn't equipped with a shell. (Gave up looking for an old Flippac). I would only use this on a few annual campouts. I don't use, need, or want an RTT, so it would only be for the awning, and it would also be used for kayak's, fishing gear, and HD runs. One thing I would like is the ability to remove it easily to have full bed access. If anyone's got suggestions, please post. Thanks. So you want to be able to easily remove the awning or the whole rack? It seems fairly trivial to hang an awning from a rack, a matter of fabricating whatever 90 degree bracket. Now coming up with a lightweight rack that isn't super expensive, that I dunno. 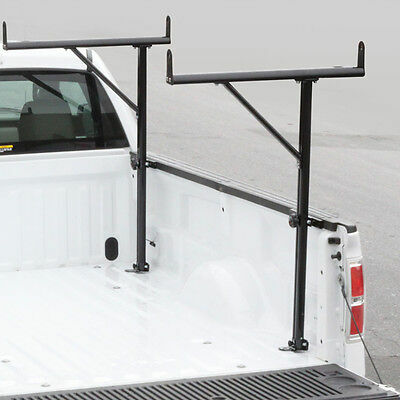 I've used Craigslist ladder racks when I didn't have a shell or WilderNest installed. But being steel they got put on once and removed when sold. YES! That's exactly what I'm looking to do. L-shaped brackets look simple enough to DIY. Thank you! To clarify, yes, I am looking to remove the rack when not in use to gain access to the entire bed space. 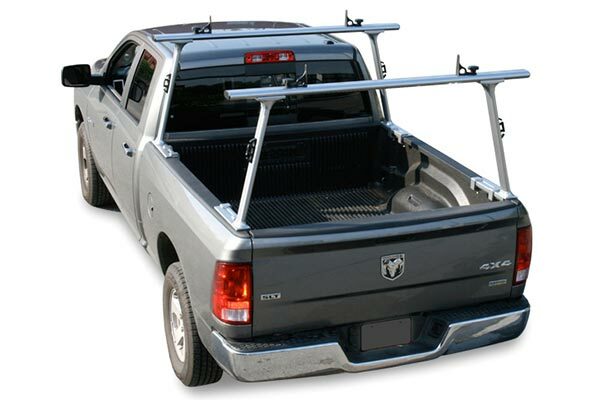 Ladder rack would be too cumbersome not only to install/remove, but to store as well. Agreed, a ladder rack is probably something that you wouldn't want to remove and install often. It's not the worst thing ever, though, and they are usually not expensive. Have you considered maybe just a side rack? Perhaps modifying something like this by cutting the ladder hangers off and just leaving the upright struts. With 2nd or 3rd gen Taco you could probably rig up some unistrut as uprights by bolting it directly to the cargo track. How about mounting it to the cab? That may work as well. But I wouldn't cut off the ladder holders, as I will need it to load the kayak (not sure it would work for that). Looks like most shells use the cleat system to mount, so I'm sure I could get something like that fabbed up. But still seems like the tracrac would be better? I'd have to get a rack for that anyway, and the fact half of the awning would be hanging in the air without support. EDIT: I found this as well. I think something like this would be an ideal solution. It can move fore/aft, and seems easily removable. I'd get two, though, as I don't want to install a rack on the roof of the cab. This guy did one with a custom bracket hanging off the side of his rig. Not an awning perse, but what about just getting an EZ Up? Easily stored, doesn't take up a whole lot of room, is cheaper than most awnings and you wouldn't need the rack if you wanted to bring it along. That custom rack looks good, but it seems to be a part of a bigger rack system and can't carry a kayak? EZ Up would work as well, but again, I've got a 12' kayak I want to transport. Hitch extender is an option but just another thing to store. If I can make a rack work for both, it would be ideal. Thanks for the inputs though. I second and EZ-UP. A lot easier to move around, since it isn't attached to the truck and can put solid or screened walls on it in bad weather or if you need more shade. I have a piece of astro turf for ours that I throw down and toss my camp kitchen and a cot in there too. Would think not having a solid surface behind the awning, shade would be minimal other than high noon. I've had EZ Up's in the past. Not for camping, but soccer games, beaches, etc. I swear they last 3 outings and something breaks. And I think I still have a welt on my finger getting pinched from the last time I set it up. I also like the awning for a 1-person set up. I hate EZ-Ups. Heavy, bulky, easy to break, easy to lose in a wind storm. I prefer a mounted awning for vehicle travel, although I currently don't actually have either (my EZ-Up being as it is broke, of course). Ha ha, exactly. We've now gone to those big sport umbrellas for sport outings, which isn't as big, but easy set up/take down. That is an OZ Tent. There is another, cheaper option as well: Geoadventures. Ahhh...different strokes for different folks. Have been using them for years, never had a problem. I'll stake one leg in the ground..and it opens fairly easy...at least to me. Though I'll only use it for a week or longer trips. (base camping that is). 2-4 trips I don't bother...my Wildernest is the shade provider. I really hate having anything attached to the truck...even though my Wildernest is pretty easy to setup...but it never fails...get it all setup then have to go get something or get bored at camp and want to go exploring in the truck. Actually getting a little annoyed with it...think that is why I sold the first one. Little envious of my dirt buddy with his 6X10 Trailer...unhook it, set it up...then the truck is free. I dunno why it should surprise anyone, since day one bolting on a 'Nest by definition makes a truck immobile once set up. It was conceived by climbers who viewed a truck an approach tool that serves to minimize how much walking you have to do in pursuit of your primary task. Vehicle-centric users came up with trailers so as not to burden the usefulness of their primary tool. You seem to want to figure out a way to complain that water is wet. If a trailer makes more sense in your application, just buy the F150 you really need and go that way.